Asteya, or non-stealing, is the 3rd yama (moral discipline). We’ll be exploring different aspects of asteya at the Watershed Wellness yoga studio during the month of April. If you missed our posts about the first two yamas, ahimsa and satya, you can check out the posts here. It’s safe to say most of us aren’t thieves in the general sense. We don’t steal from our friends’ houses or shoplift from stores. The third yama, asteya, means so much more than not physically stealing from someone else. There are many other ways to steal from ourselves and others. We’ll examine two examples of stealing: self-doubt and lack of clarity. People steal when they have a sense of lack, insecurity, wanting, feeling incomplete. There’s a sense of having to get what you need at any cost. We steal away our own ability to thrive through self-doubt. We steal from ourselves when we lack belief in ourselves, have low self-esteem, make judgments or criticisms of ourselves, and demand perfection. All the expectations we place upon ourselves disallow space for self-expression and giving yourself to the world. We get in our own way so much that we can’t do the good work we are meant to do. Here’s a quick example of how lacking clarity can be an example of stealing. As a business owner, when I lack clarity about something I waste a huge amount of time and effort. For example, I’ve had a hard time defining a clear and concise time off policy for employees. I’ve not mapped this out likely because I want to give folks who work for us time off, but also need to make money to keep the doors open. Because I don’t have a clear policy, when someone asks for time off it takes a lot of my energy to determine whether I should grant this person time off. I have to look at the schedule, go back and forth with the employee about what they want and when they might fill in for a future shift. Eventually I’ll land on a decision that is entirely emotional (usually dependent on how I feel that day) and doesn’t feel great to either party. I’m stealing time and energy from myself and also stealing the freedom through clarity from the employee by not having a clear policy in place. This lack of clarity leaves me (and likely the employee) feeling like there’s a struggle between getting what I need as a business owner, and the employee feeling like they have to push for something as simple as time off. Taking the time to create clear and concise policies saves a lot of time and effort, and the folks who work for us have the freedom of understanding expectations. The further nuance of this is being able to stand in your own integrity and truthfulness (satya) by examining what you truly need and being able to confidently express your decisions. The ability to gather your thoughts, communicate with intention and speak from your heart saves time and energy. Practice the mantra: I am enough. Whenever feelings of doubt, lack or insecurity start to sneak in, practice this mantra. The practice of knowing we are enough, and that we have enough is the key to desiring less in life and feeling more whole and happy. Take the time to find clarity in your life. Move and act with intention with an open heart. Focus on yourself and your own goals by not comparing yourself to others. Be in your body and in your own experience. We love taking theory into practice with you. Check out our class schedule to see when you can be in community through practice during the month of April. All nature loves an honest person. Satya, truthfulness, is the second of the five yamas outlined in Patanjali’s Yoga Sutras. Following ahimsa (non-violence) in the ethical and moral practices of yoga, Satya asks us to live a life of integrity in the way we think, act and speak. Satya asks us to engage with things not as wethink they are, but as they actually are. Satya asks us to move forward in our lives with integrity while keeping the principle of ahimsa in mind. When we can view the truth through the lens of compassion, we can present that truth in a way that is as non-harming as possible. Most of us would say we’re honest people, right? If we look a little closer at our conversations with others and the things we quietly hide from others, we start to gain a more nuanced understanding of the reasons we bend the truth or don’t show our true selves to those we love. So why don’t we always tell the truth? Many of us have the tendency to fall back on nice instead of being real. Think about this: would you consider yourself to be a nice person? Are you not being truthful in your life because of worry about what others might think or worry about hurting someone? We often tell small lies in an effort to not hurt feelings or to present a certain aspect of ourselves to the world. When we center ourselves in our own integrity, we can move forward from a place of a deeper expression of truthfulness. When we do this from a place of compassion and non-harming, the truth can often be a shining light. However, we must always ask ourselves whether telling the truth would cause more harm and to be mindful of what we have to say. It is better to remain silent than it is to tell a harsh or cruel truth. Is what we have to say true, useful, necessary and kind? If not, it is best to say nothing at all. Are we telling the truth and inadvertently hurting someone? 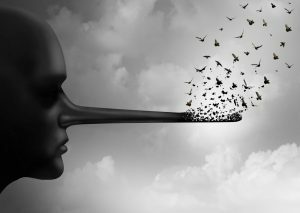 Are we telling the truth in the least harmful way? Another reason we might hesitate around telling the truth is our deep need to belong. When our own truth goes against what it takes to belong in a community the results can cause discord within our community. For example, I have many friends who grew up within a religion only to, as they grew and could decide for themselves, understood that the religion they grew up in wasn’t correct for them and their beliefs and values any longer. Recognizing their own truth and real-ness caused them to make the often painful decision to break from these communities. For some of my friends, the sense of belonging to these communities was more important than voicing their own truth. A magical thing can happen when we are more truthful with ourselves and others: we show up. We show up in the moment, ready to move forward in truth and integrity, and others start to recognize this in us. It’s refreshing, and the truth begins to feel more powerful. Our time on the yoga mat helps us come into contact with our own truths in our body, and therefore helps us unpack some of the deeper stories that we tell ourselves. Constant reengagement with the process of understanding truth is important as truth is fluid. We periodically need to get a fresh perspective on what we view as truth. Our seeing is limited by our own perspective, the groups that shape us and our experience. We must constantly be willing to reexamine our views and the stories we create about our lives. Every time we get on the yoga mat we have an opportunity to understand ourselves and others a little more. Observe situations in which you are “real” versus “nice” and notice the difference between the results of the two. Look at ideas and values that you hold to be true and no longer serve you. You may be unconsciously holding on to things that you no longer need. Throughout the month of March we'll be exploring this theme in all of our classes. Greetings! As we move out of what was a very hard January for many people in Astoria, we want to celebrate the care and commitment of each and every one of you as you continue your yoga practice with us here at Watershed Wellness. Our January focus explored kindness and compassion, especially directed toward the self. Yoga is more than just moving your body into different shapes. The practice of yoga involves lifestyle and behavior guidelines, breathwork, meditation and what most of us are familiar with: movement practices. This month we’ll be focusing on one of the behavioral guidelines. We are beginning an exploration of the yamas and niyamas of yoga, starting with the principle of Ahimsa: non-violence. Yoga practitioners have always been human beings struggling and working towards being the best people that they can be. Yoga is a 5000-year-old practice that calms your mind and body and brings you peace and happiness. Early practitioners of yoga developed a list of principles to help guide them in this process. These guidelines have helped practitioners of yoga focus on leading lives that are morally and ethically correct. The list of guidelines includes the yamas and the niyamas. The word yama in Sanskrit means “moral discipline” and niyama means “moral observance. In February, we are focusing on the first yama, ahimsa. The yamas build upon one another with ahimsa acting as the building block for understanding all the other yamas. Ahimsa means “avoidance of violence”.This is often interpreted as the act of not harming other beings (for example, many practitioners of yoga take this to mean that they should practice vegetarianism as an act of not harming animals). Ahimsa can also be an act of practicing love and kindness toward ourselves and others. This principle requires us to act from a place of love toward other beings, including ourselves. This includes non-harmful thoughts and actions. It means eradicating judgmental thoughts and negativity that can become all pervasive. It means responding to challenges that come our way with a sense of openness and love rather than shutting down and closing ourselves off from the world. 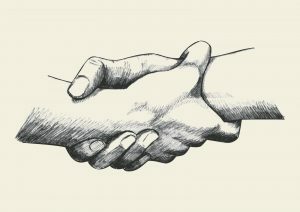 It means extending the principle of charity to others when dealing with hard situations – assuming the best intentions of each other; assuming that we’re all coming from a place of love and kindness rather than from a place of harming each other. For one day, try this: try tracking your thought processes throughout the day, and noting every time you have a negative or judgmental thought either about yourself or someone else. Once you notice these thoughts, it’s astounding how much negativity and judgment knocks around in our thoughts every day. How can you turn these thoughts about yourself and others around to thoughts of love and kindness? When you hear that voice of negativity or judgment, replace it with something kind. How does ahimsa show up on the yoga mat? Ahimsa shows up when you don’t compare yourself to others in the room. It shows up when you don’t criticize your body or your practice, but rather allow yourself to be in whatever iteration of your self you are bringing to the mat that day. It shows up when you allow space for community and acceptance of everyone in the room. We look forward to continuing to cultivate ahimsa in life and practice with you during the month of February! 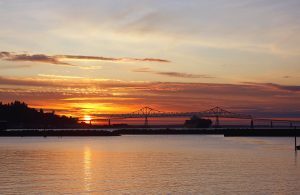 Astoria is a Coast Guard city. Further, Oregon and Washington are home to many federal workers in the sciences, in the park system and in many other important areas of American life. All of these people and their families are being impacted by the unprecedented government shutdown battle currently playing out in Washington D.C. The shutdown is ugly, and absolutely unneeded. Fortunately, there is some beauty emerging, particularly in our community, that is helping things be a little easier on those impacted by furlough. There's so much more we're missing in this brief blog post – but the outpouring of support is truly inspiring. We want to do our part to help. Until the shutdown ends, we are offering free classes at our movement studio to all federal employees impacted by the shutdown. Stress is one of the hidden impacts of loss of income security, and while yoga isn't going to put food on the table or help you with childcare, hopefully it provides some respite in a world that seems bent on putting burdens on those who can least afford them. All you have to do is show up. It's possible that class sizes will be a little big during this time, and we might end up reaching capacity during the more popular classes. We'll accommodate everyone we safely can, and ask your patience as we try to help your neighbors and friends have some time for reflection, movement and connection. Please share with anyone you think might benefit, and thank you. Like millions of other Americans, you’ve probably been thinking about changes you would like to make in your life in the new year. This time of the year inspires us to reflect on our lives. On what we’d like to change, what we can do better, what we want this year to be all about. We resolve to do better, be better, live better. When used as an action, resolve means to decide firmly on a course of action. We might resolve to eat better, move more, or have better relationships with those you love. But what happens when life gets in the way of this resolve? When we don’t have time to make a healthy meal, to attend a class, or tend to those that we love most? The beginning of the year can be a great time of reflection and plotting a course of action, but we are often setting ourselves up for hard times and big feelings when our lives don’t support our resolutions. Every year, it seems, it’s the same story. We start out strong with our resolutions of change in the new year and then things slip a little. Our resolutions fade into the background of our very busy lives and habit takes over. It’s easy, when this happens, to be hard on yourself. Why can’t you maintain what seems like a simple change? What if, instead of resolving to be something or someone different, we instead could love ourselves as we are: as imperfect human beings trying to live the best lives we can in this complicated world? 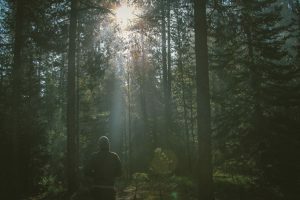 By showing compassion to ourselves, we can move forward with a change not from a place of shame or lack, but rather from a strong foothold of already being a good enough person who is thoughtfully engaged in the process of self exploration. A person engaged in being the best person they can be while knowing there will be mistakes made and lessons learned. A person who understands that these mistakes and lessons are all part of being better humans. Perhaps, in the new year, hard headed resolve can be replaced with a sense of self-compassion as we bumble through this beautiful life. A life where we do the work of continually showing up and being in the company of others working through the same struggles. A life where we seek good company in a non-judgmental environment that can help foster compassion not only for ourselves, but for everyone. One of the benefits of yoga is that it provides the space to understand ourselves more deeply, outside and in. The act of coming to class with a clear intention of compassion for yourself as you walk through this hard and beautiful life can be revolutionary. Throughout our January yoga classes, we'll be exploring poses and themes that inspire compassion, that allow for self reflection and help us dive a little further into our best selves. There is something really powerful about practicing this sort of self-compassion with other like-minded individuals in good community. We hope you'll join us as we move forward into this new year. Check out our schedule for opportunities to practice together. Our new yoga schedules starts January 1st. Inhale. Exhale. These actions are instructed many times during a yoga class. Inhale your arms up and overhead, exhale and fold forward. Inhale lift your heart, exhale allow your hips to sink toward the floor. The inherent nature of the inhale is to lift, to rise, to expand, while the exhale allows for drawing in, deepening, and release. For the month of November, we will be exploring how the breath changes our practice. We’ll be looking at why the breath is important in a yoga practice, the anatomy of the breathing body, Pranayama, and how the shape of the body can change the shape of the breath. Why does the breath even matter in a yoga practice? Why do we link the inhale and exhale to certain movements? Breathing usually operates at the edge of our awareness. On average, we take about 16 breaths per minute. This correlates to 960 breaths per hour, 23,040 breaths a day. How many of those breaths are conscious breaths? Probably not many. Yoga offers the opportunity to create attention and intention around the breath. In fact, there is opportunity in yogic breathing to control the breath in various ways. Similar to a seated meditation practice, tuning into the breath can provide something to focus on during your movement practice. In every yoga practice, breathing is closely attended to. Vinyasa yoga, specifically, links movement with breath. The word vinyasa means “to place in a special way”. A vinyasa specific class focuses on linking movement with the breath. Attuning to the breath can not only be a great link between poses and a focal point but also a way to warm the body to prepare for movement. Looking at the anatomy of the breath can help to illuminate how the breath can affect movement. The main goal in breathing is to move oxygen and carbon dioxide in and out of the body. Every time you take a breath, air is pulled backward into the nose past the hard and soft palates. It then makes a 90-degree turn into the pharynx, a funnel-shaped region. From the pharynx, the breath moves into the larynx (where the vocal cords are housed). After the larynx, the breath passes through the trachea, the right and left bronchi and then into the two lungs. The lungs divide into smaller and smaller segments (bronchopulmonary segments, secondary bronchi, tertiary bronchi, bronchioles, collectively called the bronchial tree, and eventually into the tiny alveoli) and your breath is processed and assimilated into your body. 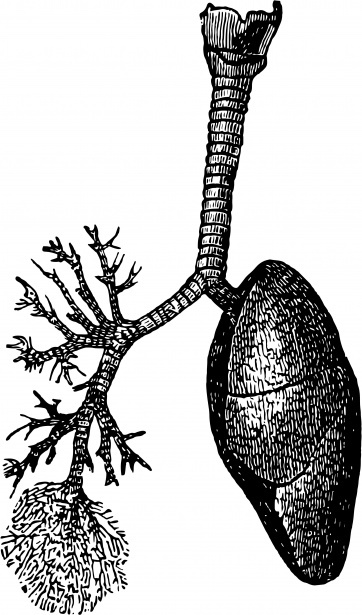 Your lungs are mostly comprised of air: 50% after full exhalation, and 80% with a full inhalation. This inhalation and exhalation changes the shape of your thoracic and abdominal cavities. The thoracic cavity houses the heart and lungs, and the abdominal cavity contains the stomach, liver, gallbladder, spleen, pancreas, small and large intestines, kidneys, reproductive organs, and bladder. These two cavities are separated by a muscle called the diaphragm. There are a few muscles in the body that enable a full and deep inhale, and the diaphragm is at the top of that list. 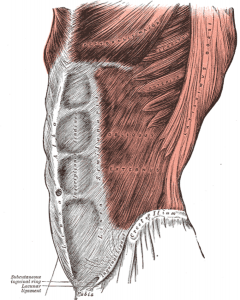 This muscle creates the barrier between the thoracic and the abdominal cavities. The upper fibers attach to the circumference of the lower rib cage. The diaphragm attaches to the front of the lumbar vertebra L1, L2, and L3 (this is a simplified explanation of both the upper and lower attachments). The diaphragm muscle is capable of creating a three dimensional shape change in the thoracic cavity. The shape of the diaphragm can be likened to a parachute or jellyfish. With a deep breath in, the lungs push the diaphragm down and make the belly push out. With a deep exhalation, the lungs deflate, the diaphragm returns to its domelike shape, and the pressure on the abdominal cavity from the inhalation is released. Try this, take a deep breath and notice how the shape of your rib cage changes. Notice how your belly changes. The inhalation will change the volume of the thoracic cavity in three directions: top to bottom, side to side and front to back. Your ribs are designed to expand and contract with the inhale and the exhale. The lungs take up more room in your body as you increase the volume in the thoracic cavity, therefore pushing your belly out. You can also use the musculature of your belly (your abdominals) to create some control in this area. By doing so you can force the air more into the rib cage, allowing the ribs to lift and expand. Pranayama is loosely defined as the conscious awareness of the breath. Prana = life force, and ayama = extension. There are many different types of breathwork that can be practiced in a yoga class. We’ll bring up just a few that are great for those just beginning these practices. 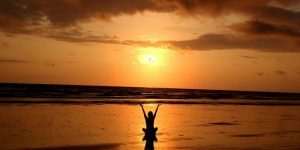 It is noted in most of the texts that discuss pranayama that these practices should be done with attention and that controlling the breath can have profound impacts on your body. This is the most basic of the breathing techniques and is accessible to all practitioners. Ujjayi pranayama involves breathing through the nose with a very slight narrowing at the epiglottis. This breath produces a gentle wavelike, or whisper sound, originating from the constriction at the back of the throat. To find this constriction, imagine that you are sucking air as if through a straw at the back of your throat. Ujjayi breathing is said to warm the breath as it flows through the nose, thus warming the body. Equal breath. Sama means same, and vritti means fluctuations of the mind. The hope of sama vritti pranayama is to calm the fluctuations of the mind. This breath pattern is practiced by making the inhale and exhale equal in length. Alternate nostril breathing. This is practiced by closing the right nostril with your thumb, exhaling and inhaling once through the left nostril and then closing the left nostril with the ring finger, exhaling and inhaling once through the right nostril. You then move back to closing the right nostril with the thumb and start the cycle over. This practice can center the attention and calm the mind. It also helps to balance the nervous system. There are many different types of pranayama, and various forms will be practiced throughout the month of November at the studio. Please note that if any of these practices cause anxiety, it’s always ok to come back to your normal breathing pattern and just focus on the inhale and exhale. The shape of the breath can change with the shape of your body. By understanding the anatomy, as discussed above, we can start to look at how moving into certain yoga postures can change where our breath fills our body. 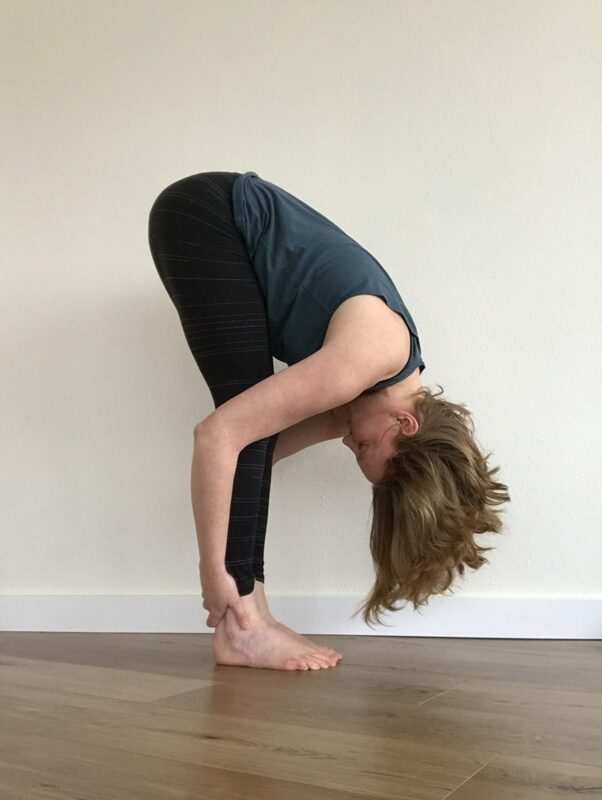 For example, if we inhale and come into a backbend, our spine naturally extends and the breath in can help to support the heart opening and chest breathing that in inherent in backbends. The accessory breathing muscles of the back kick in as we breathe deeply to support the shape. The breath is forced into the upper chest region. Try this in a cobra shape. The feedback of the floor in this belly down backbend will help you see how the breath gets filtered more into the chest. In twists, something similar happens. We constrict both the thoracic and abdominal cavities as we revolve around our spines. You might notice that you can lengthen more into your twist with the inhale, and then as you empty your lungs find a deeper twist with the exhale. You might also find that you have more constriction in either your belly or your chest, depending on the twist. Regardless of what your practice looks like, paying close attention to the breath can deepen and sweeten any yoga asana practice. The breath can be the doorway into a deeper experience of your body and your internal spaces. The breath can help to identify and release the tensions of the body and help to attain equilibrium. Keeping the lungs open can be an especially hard thing to do this time of year as we start to get our winter colds. We'll be exploring these concepts from different angles, including Chinese medicine, in upcoming articles. If you’re interested in learning more about the breath and pranayama in meditation and movement, I encourage you to come to any class in November to explore these practices in your own body. 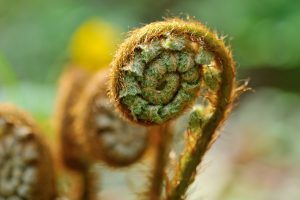 With the return of Fall and the recent Autumnal Equinox, the change of the seasons and the harvest time invite us to think about what is and is not working for us. It’s time to reap what we’ve sown over the summer months. For me, after the busy-ness of the summer the change of the seasons is like a fresh breath of cool air. Autumn is a time to reassess and come into greater balance with yourself and the external world. 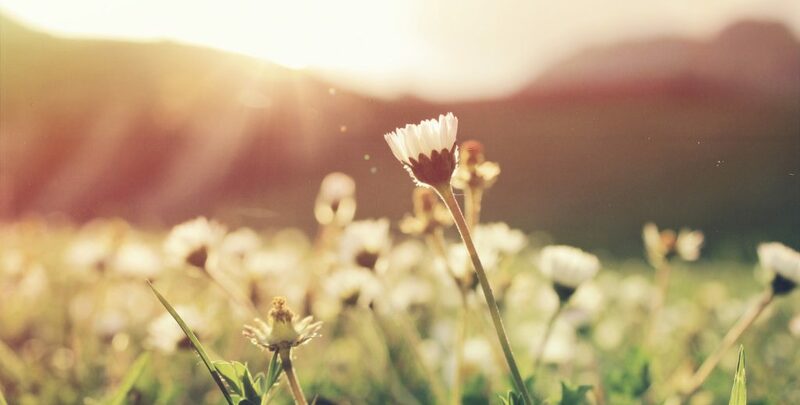 Summer always feels so frantic, and with the returning of the fall-time routines (back to school, less travel) we can view this as an invitation to come into balance. Throughout our day we’re given the opportunity to find physical balance many, many times. Every time we take a step we’re suspended in a short moment of balance before our foot comes back into contact with the ground. In yoga, we’re given many moments to find balance in poses like tree pose or warrior 3. These poses ask for our complete focus and attention as we try to maintain our connection with the earth on one foot. A balancing pose isn’t a destination that one can find, but rather a constant recalibration process as we try to find a sense of stability. Our muscles work hard to find harmony in the pose. Our focus and attention become attuned to maintaining an upright position. It’s easy to become frustrated if we fall out of our balancing posture, especially if everyone else seems to be effortlessly maintaining the pose. 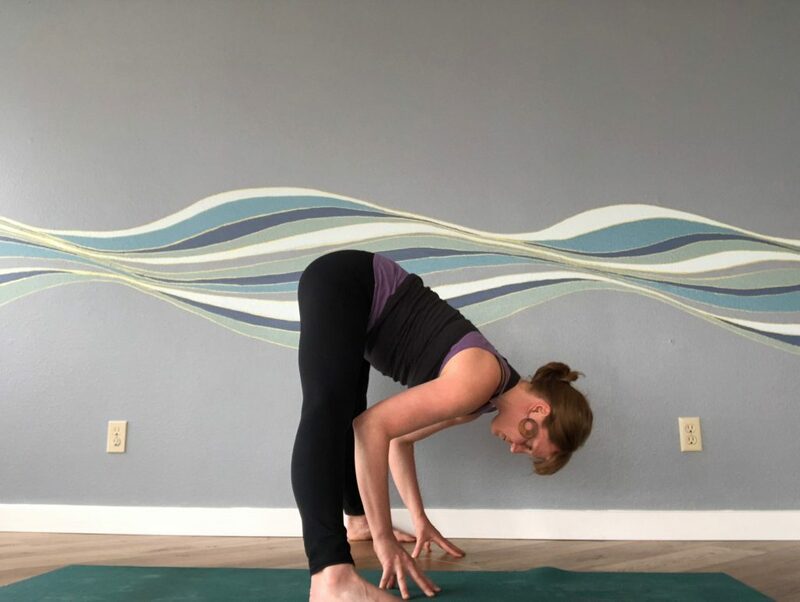 In these poses, there is an opportunity to play with your own boundaries around feeling safe even when things are wobbly. With practice, you can maintain a sense of steadiness through the constant calibration and feedback from your body. The wobbles become smaller and your body adjusts to them more readily. Good balance depends on coordination between your eyes (visual system), your muscles, tendons and joints (proprioceptive input), and the organs of the inner ear (vestibular system) to tell you where you are in space. Proprioception is the ability to know where you are in space. Taken from the Latin proprius, meaning “one’s self” and capio, “to take or grasp”, proprioception is the sense of the relative position of one’s own parts of the body. Maintaining balance becomes much more challenging when we close our eyes and take away our visual input. The added challenge of adding closed eyes to a balancing posture takes away one of our methods of input (visual system) and becomes an opportunity for us to further hone our awareness of where our bodies are in space. This added challenge increases our proprioceptive awareness. This knowledge of where your body is in space can be a game changer in real-life situations such as walking on a slippery or uneven surface. With practice, we learn to trust our bodies and our balancing capabilities and become more resilient over time. With an intentional movement practice, there is always an opportunity to take what you learn about your body and your self on the mat to your life outside the yoga studio. Learning to understand the constant changeability and recalibration of your body by practicing balance can help you understand your own resilience as things in life shift. Balancing in class can help you understand how you can work toward harmony in other parts of your life. Closing your eyes in horse pose and finding a sense of stability and grounding. At the beginning of a yoga class, sometimes I’ll posit the question: Anyone have anything that they want to work on today? Invariably someone will say: SHOULDERS! What I understand this to mean, in most people’s bodies, is that area between the shoulder blades that often gets mucked up and crunchy, as well as the junction between the upper back and the neck. 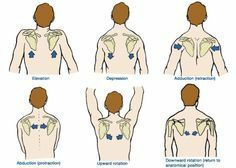 These two areas, the upper thoracic area and the upper trapezius area, are two common places that most people I know hold some tension. It’s also a common pain area for folks coming in for massage therapy. In my massage practice, my clients often ask if everyone has tension in this area, or if theirs happens to be particularly bad. In general, most everyone I’ve massaged has some level of tension here. The shoulder blade, collarbone and arm are all part of the appendicular skeleton which rests on the axial skeleton. The clavicle provides a fairly stable strut, while the humerus maintains the widest variation of movement possibility. The scapula helps to keep the peace between the two structures by providing extra stability for the clavicle and support by way of the glenoid socket (where the upper arm bone and the scapula meet) in order to manage the shifting of the humerus. 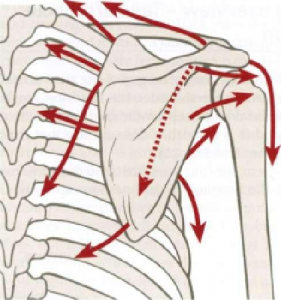 This whole structure helps to provide some stability in movement of the arm on the torso (the axial skeleton). The shoulder is a complex ball and socket joint that moves in a variety of planes. The muscles of the shoulder and arm are amazingly diverse – they span across the width of the back attaching the scapula to the rib cage, neck, head and arms. 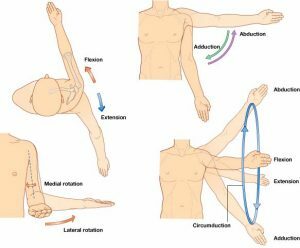 Vectors of pull on the shoulder blade. An imbalance in any of these structures can cause pain and decreased mobility in your shoulder and scapula mobility. The shoulder blade wants to be in a balanced position, but when one muscle or group of muscles gets chronically shortened or lengthened, the placement of the shoulder blade on your body can be impacted. In a yoga class, having integrated shoulders is an essential part of your practice. 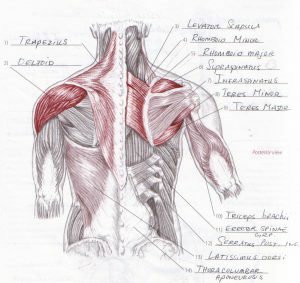 What do we mean by integrated shoulders? Shoulders that have strength, flexibility and MOBILITY that allow you to do the poses that you want when you want. Shoulders that are well balanced both muscularly and structurally. Shoulders that support you with integrity while putting weight on your hands. Shoulders that work well for you in your daily activities, such as reaching for things over your head, or supporting yourself while mopping the floor on your hands and knees (does anyone else do this?!). 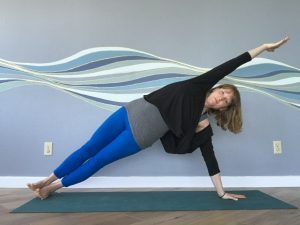 Let's look at a few yoga poses that integrate the shoulders. 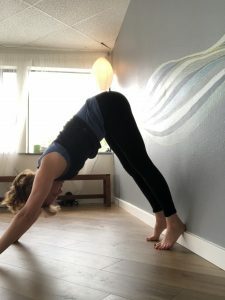 You can see in the images below that poses such as backbends, arm balances and poses that have arms overhead can all incorporate some good honest shoulder awareness. 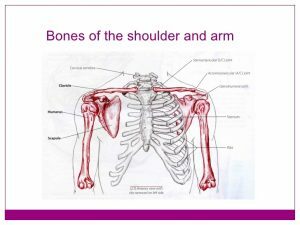 Interested in feeling better in your shoulders as well as learning more about the anatomy and function of the shoulders? Come to any class during September for some shoulder love. We've also recorded a few videos of some shoulder exercises that you can view here. Try these out at home and let us know what you think! 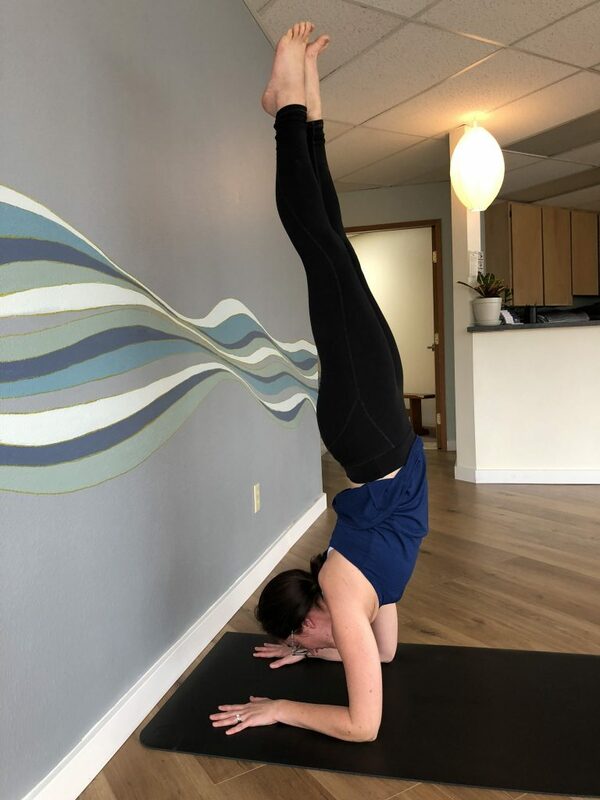 This August our monthly focus at the Watershed Wellness Yoga Studio will be getting our hearts over our heads in inversions. 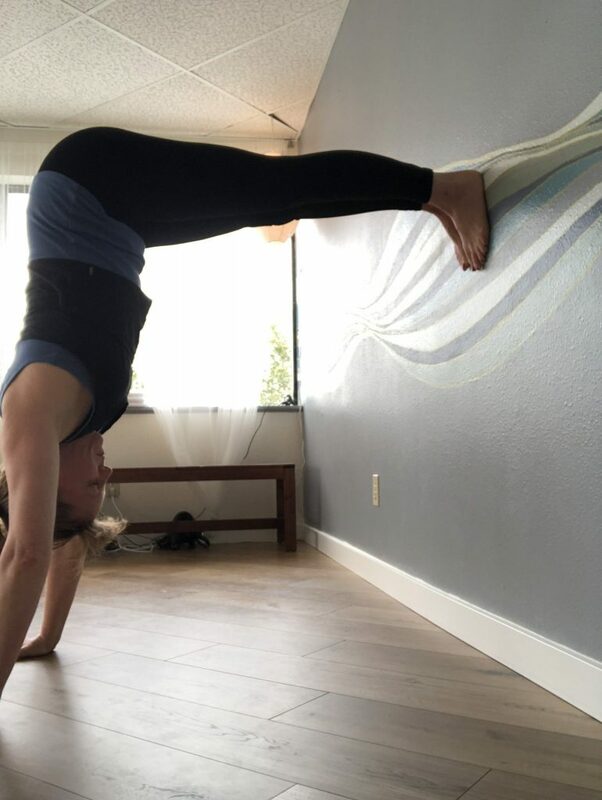 Inversions can be polarizing poses in yoga classes, often inspiring feelings of fear or anxiety, or perhaps feelings of joy and accomplishment. Regardless of how you feel about inversions, they can be a beneficial and fun part of any yoga practice. Any pose where we put the hips above the heart and the heart above the head is an inversion. These are poses where we go upside down and literally invert our world. Once upside down, even the simplest of movements can be confusing as we experience a different, and perhaps unfamiliar, relationship to gravity. 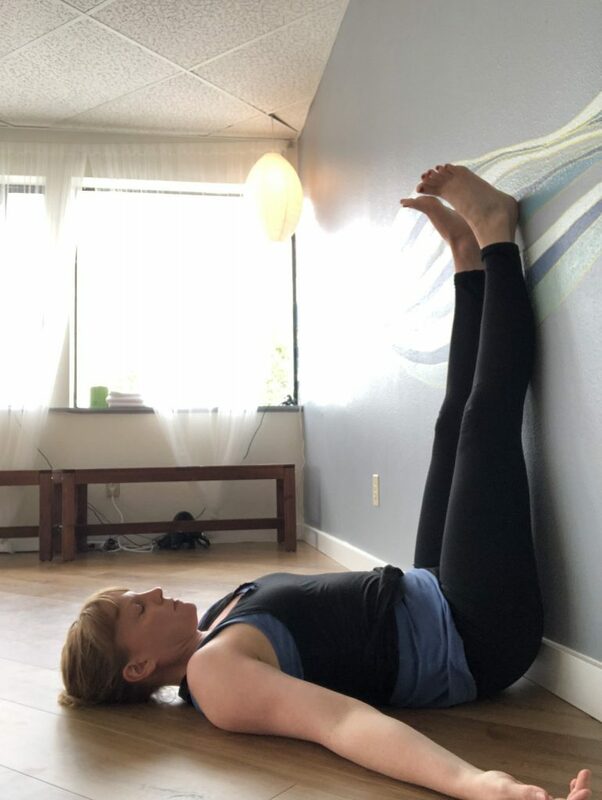 With practice, even the most challenging inversions can become poses that you enjoy doing, and that provide a sense of peace and calm to the nervous system. There are many reasons out there for why inversions should be part of your yoga practice. 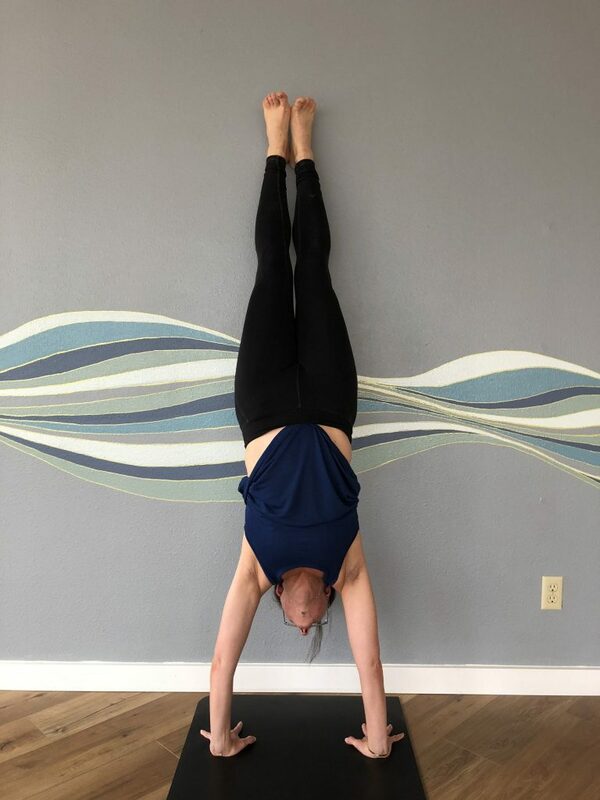 We’ve come across claims that inversions can help increase blood flow to the brain, reverse your circulation, and lower your blood pressure. 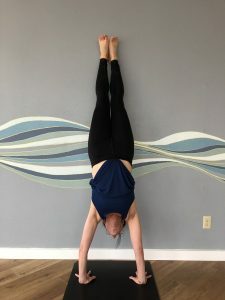 While these claims sound like awesome benefits to an inversion practice, we’re not completely convinced that physiologically these benefits happen in the body by inverting. Does the idea of going upside down terrify you? Not to worry! There are many inversions that are gentle enough for anyone to practice. 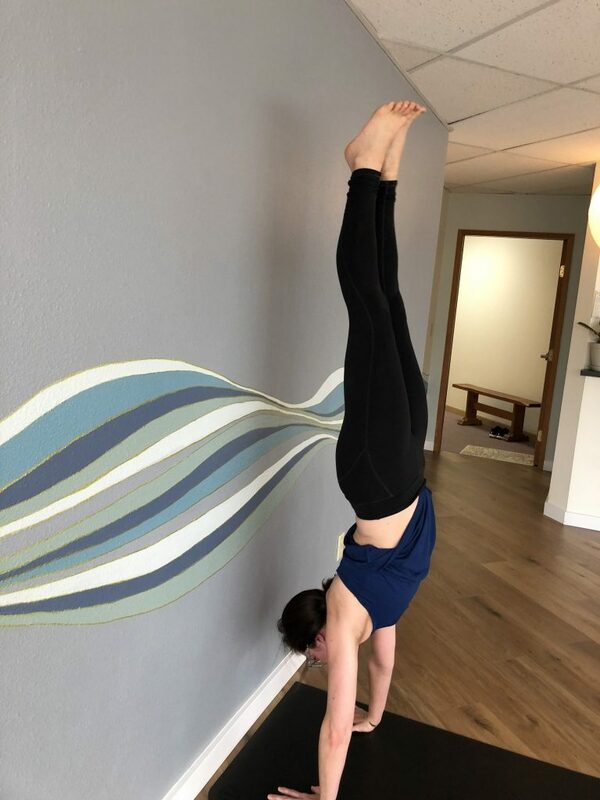 When approached in a thoughtful and intentional way, practitioners who are ready to move on can safely explore poses like headstand, forearm stand and handstand. All of these poses reap the benefits of having the head below the heart, while fostering different emotional states ranging from uplifting to calming. Interested in knowing more? Come to any class during the month of August for some inversion exploration. Details on time and registration coming soon. 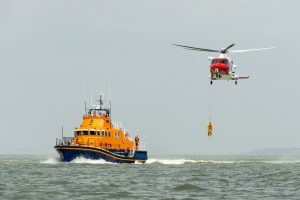 Not sure what class is for you? Take a look at what classes we offer. Want to read more about our previous monthly areas of focus?